Marvel at Alaska's Crown Jewel, Glacier Bay, on this one hour flight that features pristine wilderness, frequent wildlife spottings, and dozens of glaciers. The East Arm of Glacier Bay is known for it's glaciation, and your pilot Paul will provide you with closeups of both land-based and tidewater glaciers on this incredible Skagway tour. No weight restrictions on this tour. Infants up to two years old are free. Sunglasses and camera recommended. Paul can accomodate groups and families of up to eight people on one flight. 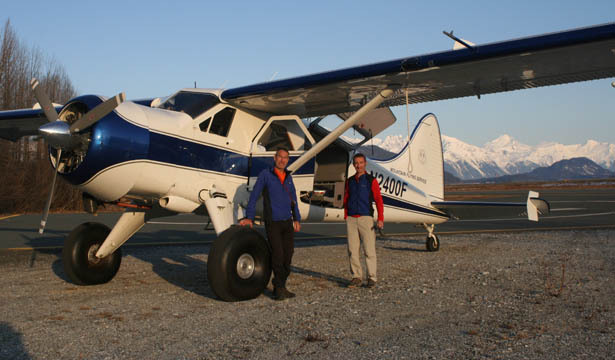 Landings are also available for an additonal $75 per person, so if you are interested please inquire about this option.